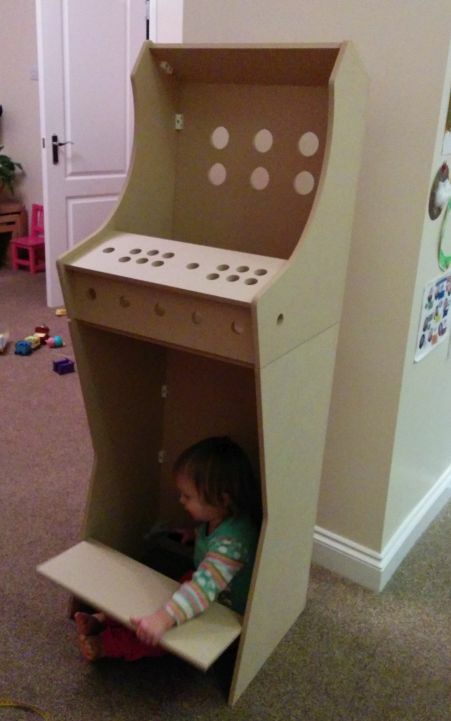 For a long time now, I have been planning to build an arcade cabinet, but never got round to it. This was partly due to not really having the space for it and also the amount of time to create the plans, cut the mdf, etc. However, while on eBay a few months ago I came across a seller called 'richsbartoparcades'. 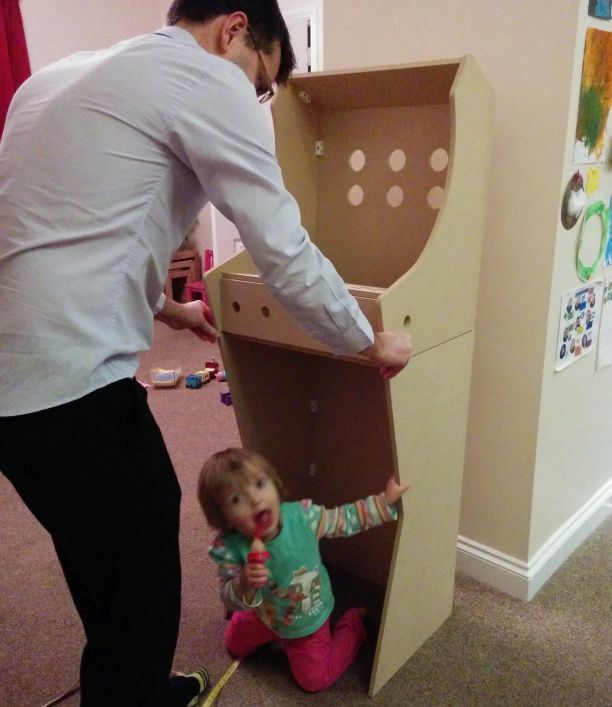 He sells quite a few flat pack cabinet designs. I was sold on his slim version which comes in two parts. Sounded perfect. So that was my Christmas present from the wife. The cabinet came with just the cut pieces, no instructions, screws, fixing blocks, pilot holes, etc. So was a little bit more demanding then your normal Ikea flat pack (I was worried!). After I got going it was fairly straight forward. In fact probably better not having pilot holes as there is more flexibility on the control positions, marquee etc. Within a few hours it was all constructed (it would have been quicker without my daughter 'helping'). Once the cabinet was all put together, this has allowed me to get the correct measurements for the LCD monitor. It looks like it should fit a 19" lcd. Trying to keep all my costs down I have won a monitor on eBay for £20. This should arrive later in the week. Also on order is some 12mm chrome car edging (ebay again) and black gloss paint. I'll post some more details once I start to put it all together.